Made for use with Somni EPSIII. Magnetic Placement, Dividers and Positioners included. Equaflow Rat & Mouse Manifolds from Somni Scientific solve the main issues related to multiple mouse/rat anesthesia delivery within an Imaging Device. The Equalfow Manifolds utilize a hyperbranching interior framework that insures equal gas delivery to each port and simultaneously scavenging waste gas preventing it from building up in the imaging device. This safeguards researchers and technicians so they are not subject to noxious, gaseous anesthesia during imaging experiments, keeping users compliant with NIOSH exposure limits. The Equaflow manifolds insure that each animal is receiving a similar concentration of anesthesia from the first port to the last. 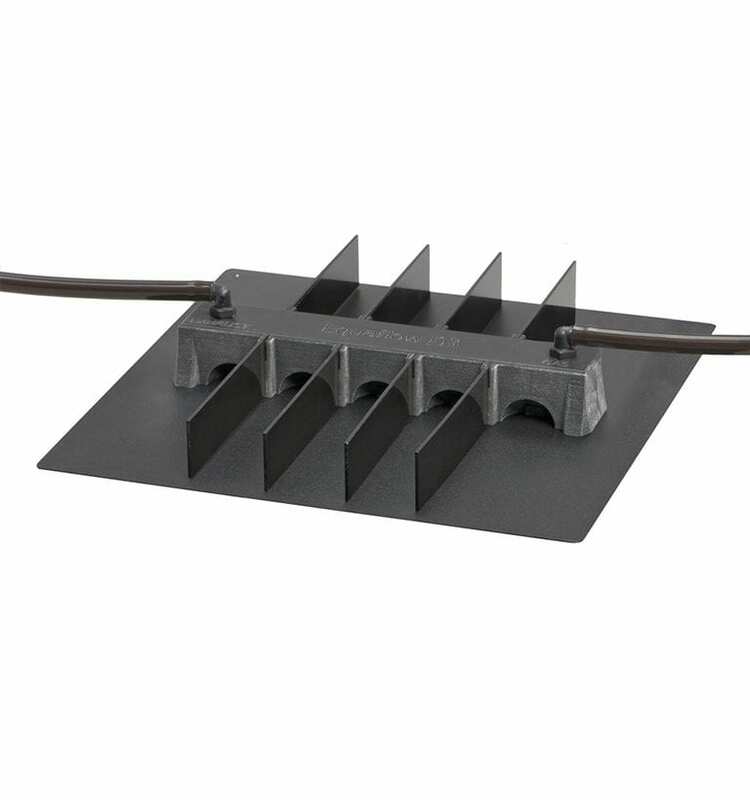 Since each port has its own built in scavenging there is no need for plugs or flowrate adjustment if animal quantity is changed. The design of the device allows for scavenging of waste gas even if there is no subject utilizing a port. 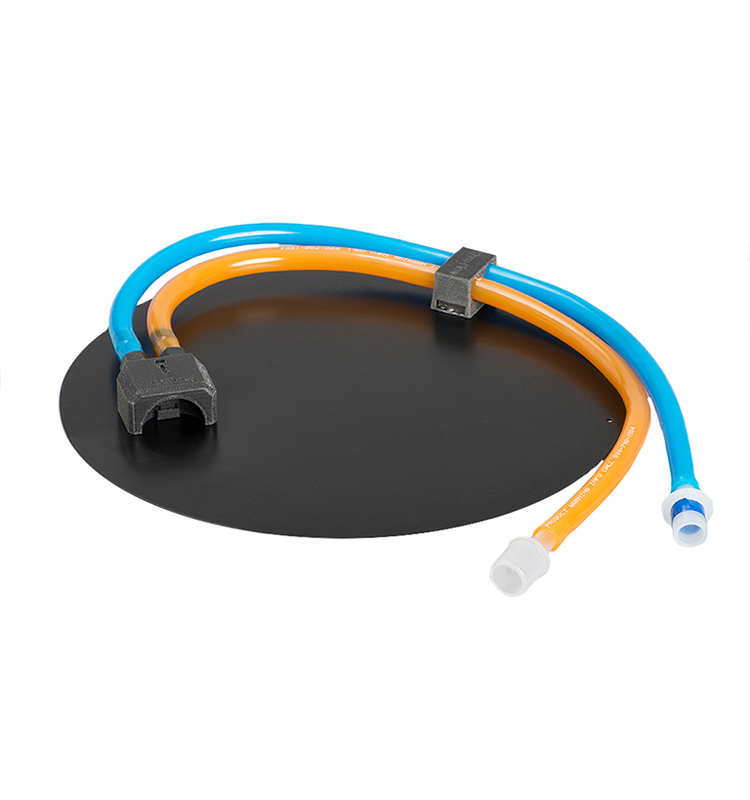 The Equaflow manifolds come in a variety of sizes and number of ports that will fit the needs of the small animal imaging community. 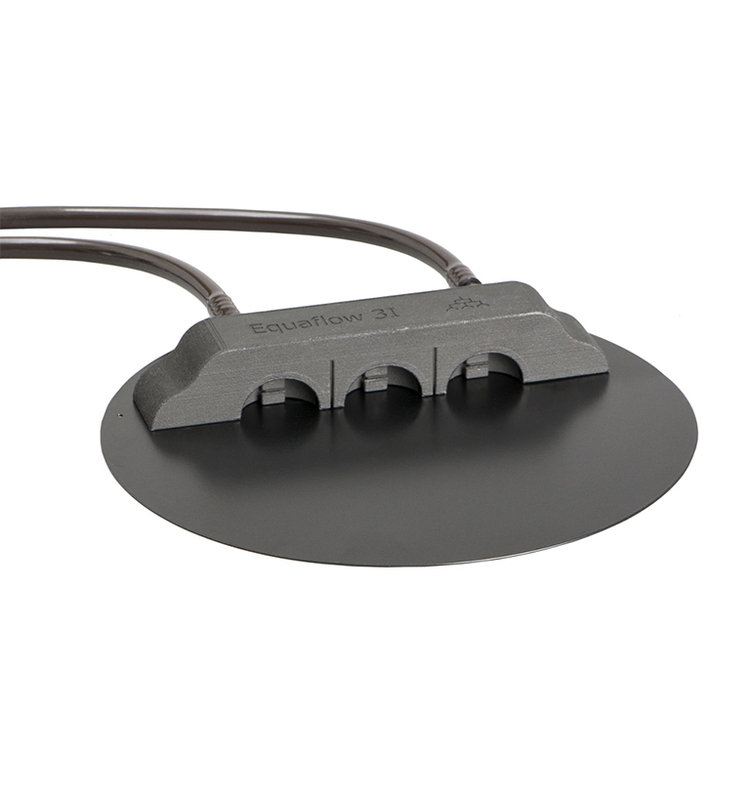 The Equaflow manifolds can also be utilized as a stand alone bench top device outside of the imaging device for multiple mouse/rat anesthetic procedures. The efficiency of the Equaflow Manifolds allow for users to use lower flow rates providing cost savings of anesthetic agent and oxygen. Meets NIOSH standards for waste gas safety, when used properly. Hyper branched active scavenging to each nose cone assuring compliance and user safety. Hyper branched equal gas delivery to each nose cone prevents animal awakening. Animals lay in a flat, natural position during anesthesia (no head torqueing). Optical imaging compatible (from above or below). Effective design allows for lower flow rates and less usage of anesthetic agent. Available in 3 I (125mm FOV ), 3XL, 5, 5LP 10 (200mm FOV) and 10XL (250mm FOV) port configurations. 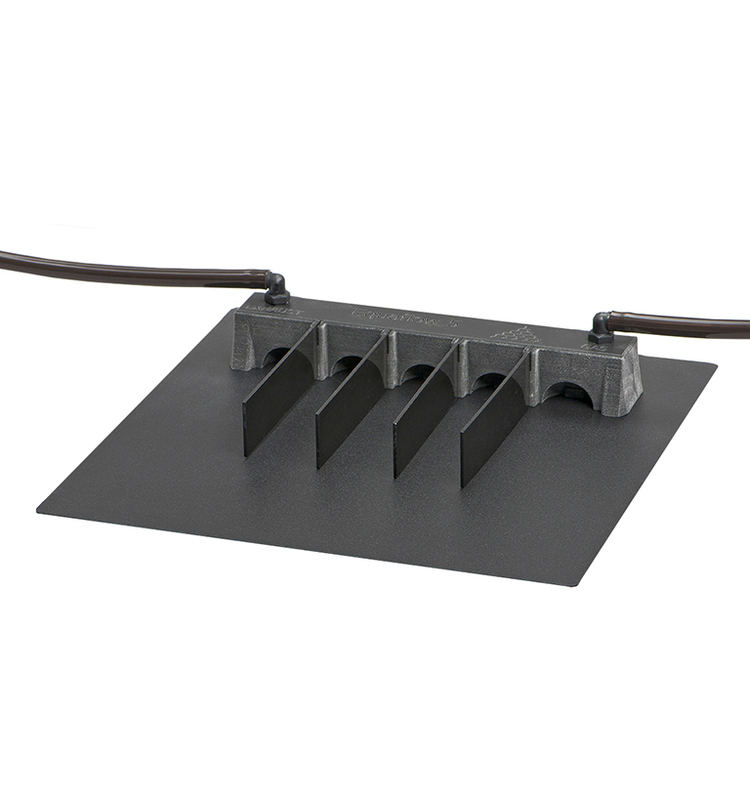 Integrated magnets assuring consistent manifold and mouse placement on base plate. Single port designs for mice and rats. Includes Manifold, dividers, magnetic positioners for animals, tubing and black base plate.